Scars occur naturally and are simply a part of the body's healing mechanisms. Unfortunately, there is no way to completely get rid of scars no matter how hard we try, but we can lessen their appearance. What you see is actually collagen, or protein, growing underneath the skin. They can occur as a result of a cut, surgery, acne, wound or some other type of injury. Collagen is full of fibers that make the layer of skin, just underneath the top layer, stronger and more resistant to tearing. When some type of injury takes place the collagen that is manufactured by the body becomes thickened. This thickness is what causes a scar that can be seen after an injury. A scar looks different depending on what the injury is and they take up to 18 months to fully mature. When they are first visible, they are typically reddish in color and raised well above the surface of the skin. As time passes, they flatten out and blend more easily with the surrounding skin. There are many different types of scars that can occur depending on what type of injury or surgery has taken place. Keloid scars grow outwards from the original injury. They have a rough look about them and can actually affect our ability to move freely. They can be erased in a limited way by using therapies like cryotherapy, gel pads and pressure treatment. Contracture scars result from skin that has been burned. These can be nasty and actually affect your ability to move freely. Muscles and nerves may also be affected. Hypertrophic scars are the same as keloids scars in most ways besides the fact that they do not cover the outer edges of the injury. They are reddish in color and puff well above the skin. 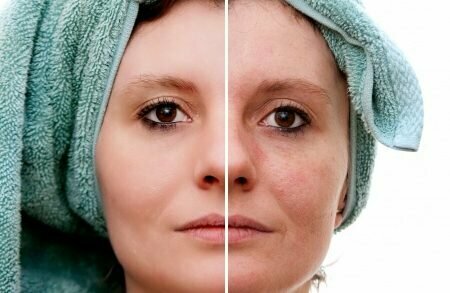 Acne scars develop in people who are afflicted with a severe case of acne. They look different depending on the type of skin and severity of the acne. They can cause deep pits in the skin, look angular or take on a wave like appearance. Doctors usually have no problems diagnosing scars. A simple examination of the skin will give all the information that they need. They will likely ask you a few questions about how they occurred and whether it is painful or not. As I said earlier, there will always be a trace of scarring left. There are treatments and medicines that can help to make them somewhat less visible, though. Topical ointments, gels and creams are the most common method for reducing scarring. Cleavers and Red clover can help your body to recuperate from scarring and neither of them have the side effects of conventional medicine. If you have any specific questions about which herbs will be best then seek the advice of a local herbalist or homeopath. Heal Scars Formula uses established homeopathic ingredients and is applied topically, directly to the scar. The product is specifically formulated for scars and helps repair and restore your skin. Heal Scars Formula also contains pure essential oils and is all natural and safe to use. Learn more about Heal Scars Formula now.